The French finance minister says that his country is looking for between €7bn and €10bn. FRANCE MUST FIND up to €10 billion to bring its public deficit back to 4.5 per cent of gross domestic product, Finance Minister Pierre Moscovici said today. The French minister also said that a European Union summit to take place this week in Brussels had to see eurozone countries propose “structural solutions” to a crisis that is now in its third year. Moscovici insisted this meeting of EU leaders “is not a banal summit”. Markets and other countries around the world “expect Europeans to finally come up with structural solutions, and that is what they are looking for”. Moscovici said the EU meeting on Thursday should “finally provide the euro with a political spine, and banking regulation”. 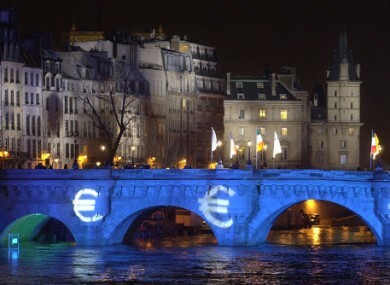 Email “France 'needs up to €10bn to plug public deficit', says finance minister”. Feedback on “France 'needs up to €10bn to plug public deficit', says finance minister”.